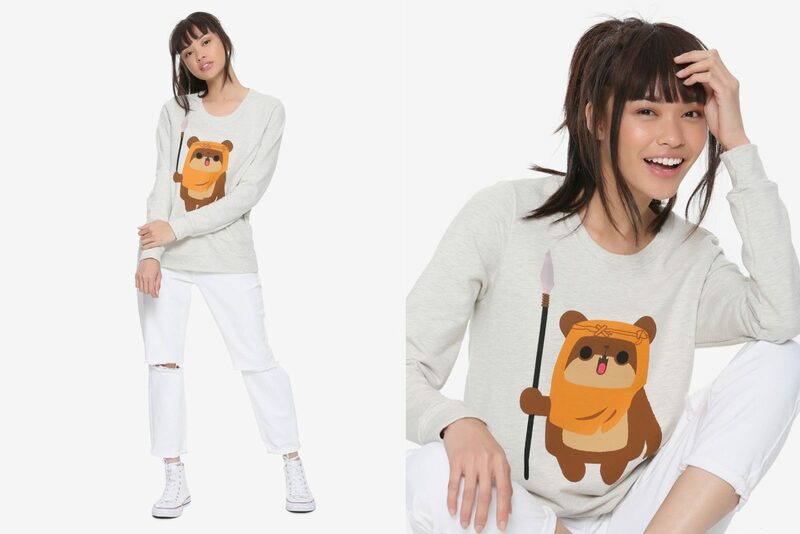 This adorable women’s Her Universe x Star Wars chibi ewok sweatshirt is available at Hot Topic. 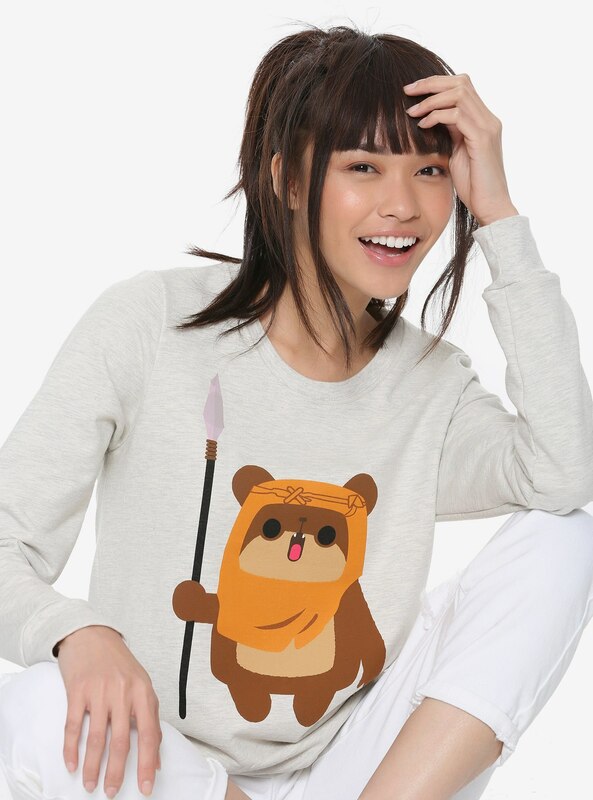 Made from 50% cotton / 50% polyester, the heather grey sweatshirt features a front print of an ewok with spear, in cute chibi style artwork. Yub nub! We thought ewoks couldn’t get any cuter and then we saw this smiling chibi ewok! 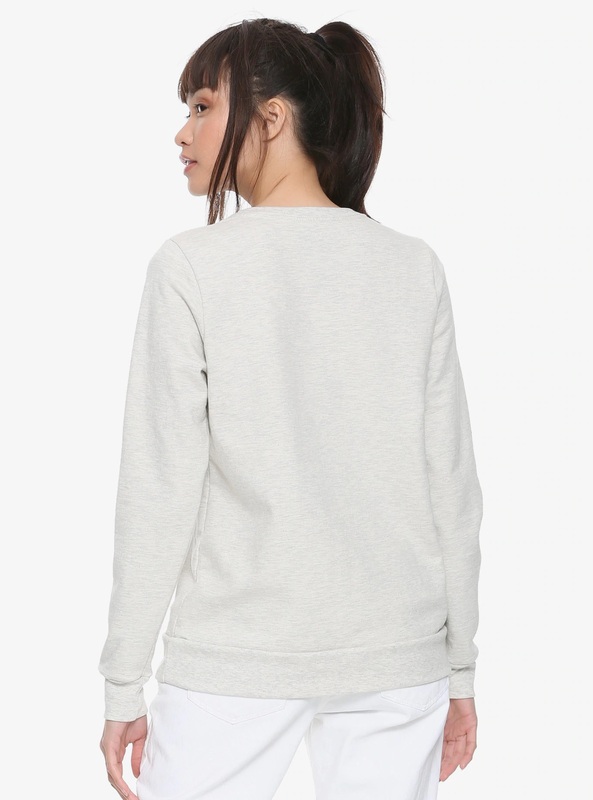 This heathered grey crewneck from Her Universe and Star Wars features a chibi ewok design. 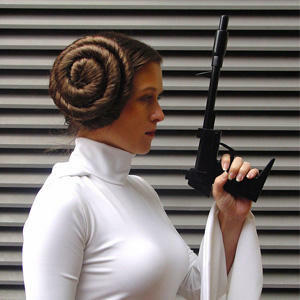 Available in sizes XS to 3X, the sweatshirt is priced at US$38.90 each – Hot Topic can ship internationally. For a limited time, get 20% off with the code ‘HT20’.